Our favourite Baby Swings / Baby Rocking Chairs / Cradle Seats. 1) Multifunctional baby rocking chair swing rocker electronic vibration swing cradle seat. 2) Sweet Snugapuppy Dreams Cradle ‘n Swing. 2 ways to swing! Side-to-side or head-to-toe. 2 comfy recline positions. 6 swing speeds, 16 soothing songs & nature sounds. Easy to convert to different positions—just press button and turn!. Machine-washable, plush seat pad with deluxe Sweet Snugapuppy Dreams body insert & head support. 3) My Little Snugabear Cradle ‘N Swing. Two swing motions to help soothe baby: rock baby side-to-side like a cradle or swing head-to-toe. Fisher-Price SmartSwing Technology. Six swing speeds, 16 songs, soothing nature sounds. 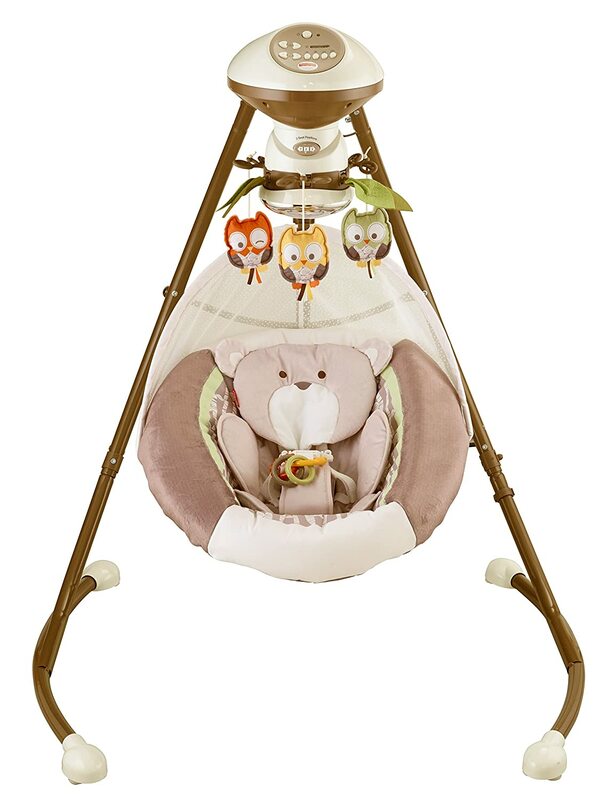 Motorized mobile with mirrored globe and three soft owl mobile toys. Two-position recline with 3 adjustable seat positions: right-facing, center, left-facing. 4) Simple Sway Baby Swing, Abbington, One Size. 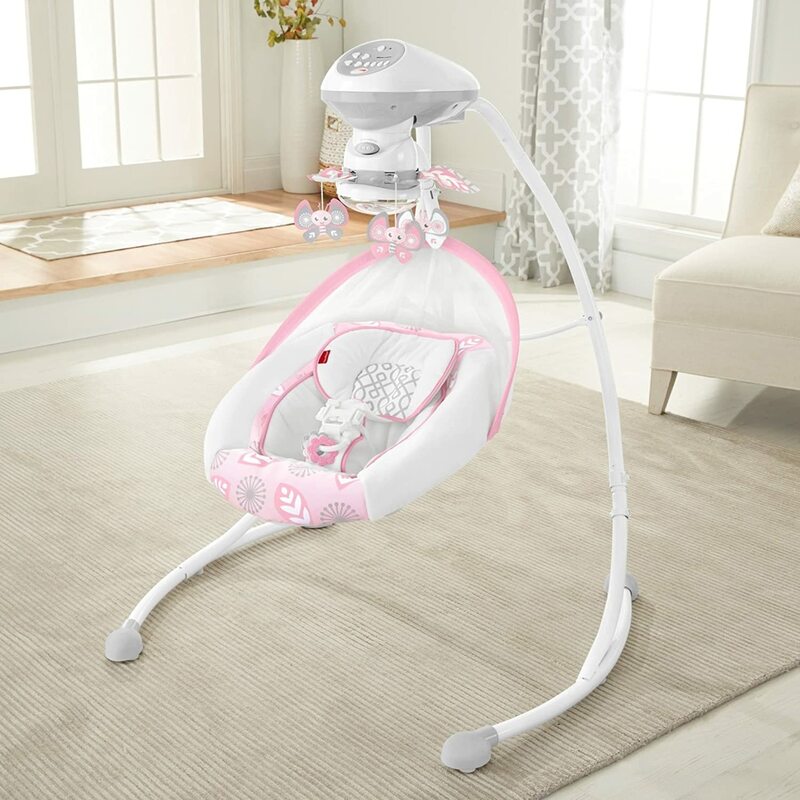 This baby swings small frame design fits in any room of your home so you can easily keep baby close wherever you are. Plug-in option allows you to save money on batteries while using your infant swing. 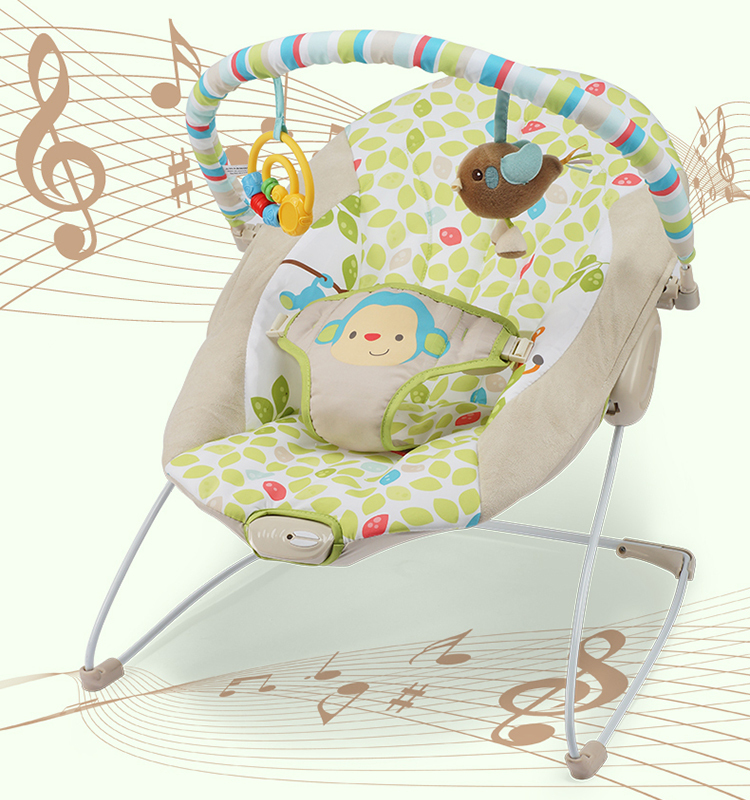 Gentle, side-to-side swaying motion soothes and comforts baby. 2-speed vibration to help keep your baby calm and relaxed. 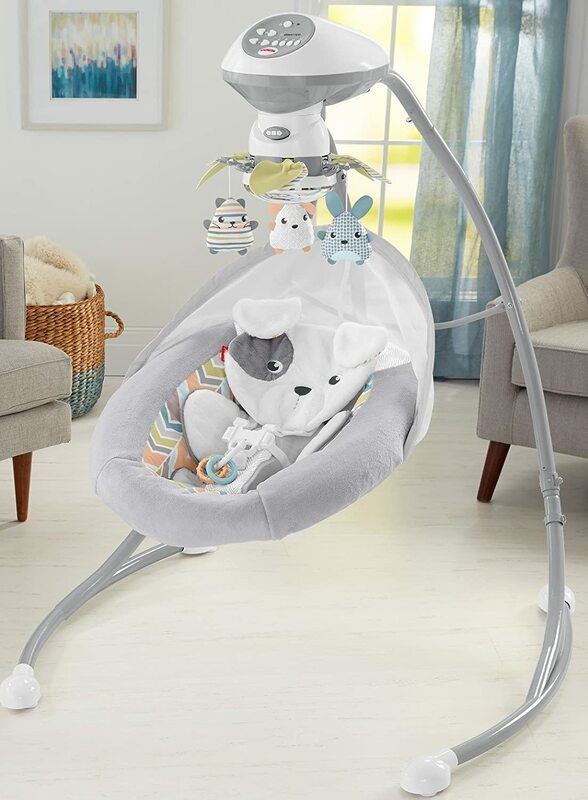 The deep, plush seat with removable head support keeps your little one cozy and comfortable while in the baby swing. 5) Graco Duetsoothe Swing + Rocker, Sapphire. 2 products in 1: Removable infant swing seat doubles as a rocker. 3 seating positions so baby can sway side-to-side or swing front-to-back. Rocker carry-handle allows you to keep baby by your side. Option to plug-in or use batteries. 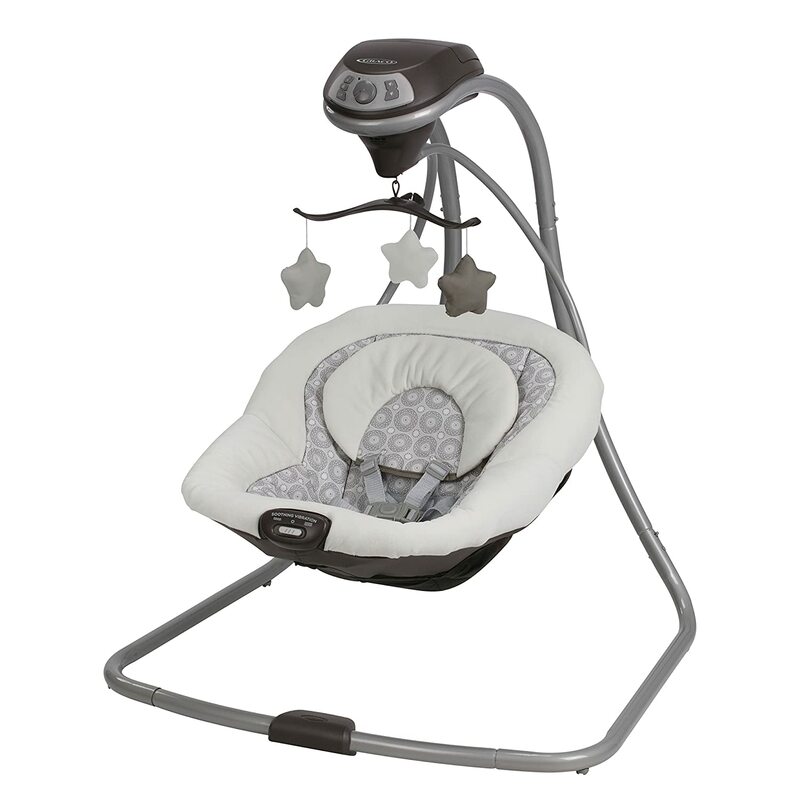 Swing and rocker features vibration with two speed settings to keep baby relaxed. 6) Deluxe Cradle ‘n Swing, Surreal Serenity [Amazon Exclusive]. 2 ways to swing! Side-to-side or head-to-toe. 2 comfy recline positions. 6 swing speeds, 16 soothing songs & nature sounds. Motorized mobile with dome mirror & 3 soft butterfly toys. Machine-washable, plush seat pad & newborn head and body support.